The goal of the Veterans to Energy Initiative is to foster a partnership among three critical sectors– the military, higher education institutions, and California's utility industry–to facilitate the transition of service members into rewarding energy careers. This initiative involves education, outreach, and awareness components. The education component includes: 1) a two-day Fast Track to Energy Careers training program to expose student veterans to the energy field and 2) a pilot program at UC Davis for veteran students transferring from community colleges, and 3) an energy Skills Bridge training course that is offered as part of service members' transition program. The outreach component involves expanding relationships with military installations, veterans’ centers, and personnel in California to broaden the reach of our education programs and insure that all interested veterans are able to take advantage of these offerings. The awareness component focuses on ensuring that utility companies, and specifically hiring managers, understand the ways in which an individual’s military experience and training translate to the energy industry. One of the primary goals of the Office of Naval Research Collaboration is to increase educational opportunities for military students on campus. As it stands, UC Davis has a relatively small military student population and because of this, fairly limited resources for those students on campus. 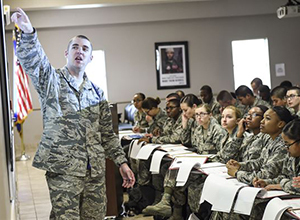 The EEI spearheaded an effort to increase collaboration and communication between the various offices and centers on campus who frequently serve military students in order to strengthen and expand these services wherever possible. 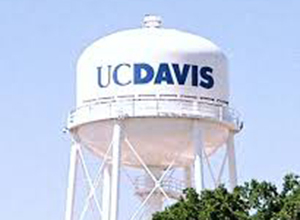 As a part of this effort, the EEI has worked with Beth Broome, the Senior Advisor to the Provost on STEM Strategies and Earl Raehsler, Coordinator of the UC Davis Veteran Success Center, to find areas of overlap various campus initiatives and increasing the number of military students choosing to pursue degrees at UC Davis. 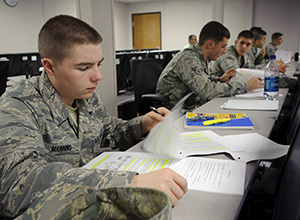 Train active-duty military service members through an on-base skills bridge program for both immediate in-demand utility industry careers and longer-term employment pathways requiring additional education, such as the Energy Graduate Program (or undergraduate-level programs focused on energy) at the University of California, Davis. Remove barriers and increase access within the University of California admissions, building a short- and long-term pipeline of military veteran students. 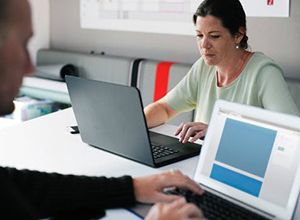 Design a program certificate and launch a pilot program whereby the certificate is recognized to streamline veteran applicants during the admissions process for universities and applications process for utilities. 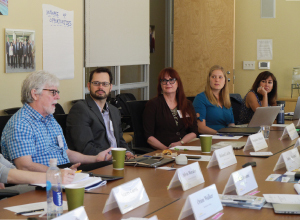 In May 2017, the Energy and Efficiency Institute hosted an initial stakeholders Working Group to elicit additional input and ensure the needs of each group are being addressed. 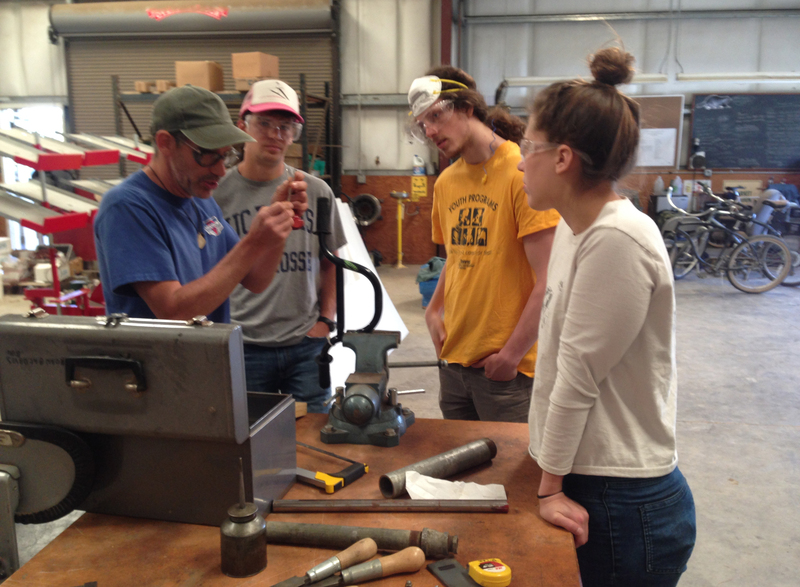 The remainder of the year was focused on working with the group and others to develop curriculum, pathways, and other program elements such that the formal training program is ready to launch in 2018. UC Davis is working with Patricia Reily at CSU San Marcos (CSUSM) on their Veterans to Energy Careers Program, which recently received additional funding. UC Davis faculty and researchers will be connected with CSUSM student veterans who are interested in pursuing graduate degrees in energy-related fields such as Engineering, Business, Economics, and our newly created Energy Graduate Group. 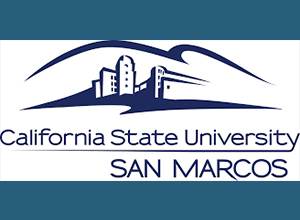 We will be hosting the Veterans to Energy Careers Program Manager frequently throughout his/her time at CSUSM in order to facilitate these professional development opportunities. Earl Raehsler, the Coordinator of the University’s Veterans’ Success Center, is currently teaching a course entitled “Strategies for Academic Success for Student Veterans” in order to help Student Veterans transition to the university culture. Students enrolled in the class will sharpen their critical thinking, reading and writing skills, as well as strategies to cultivate relationship with faculty and other students. They will refine their strategies for goal setting, time management, and academic planning, while being introduced to campus resources and opportunities beyond the classroom. Students will also prepare themselves for post-graduation in job placement prep or graduate school prep. Earl will teach this course again in Winter Quarter for those students whose schedule did not allow them to enroll this quarter. The course responds to a need highlighted by UC Davis student veterans and in research that the transition from the military to academia can be difficult for some due to a fairly significant change in roles, responsibilities, and expectations. 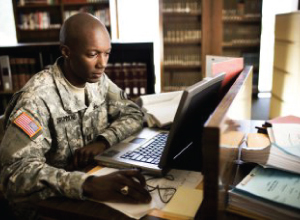 This course is meant to ease that transition and help student veterans use the knowledge, skills, and abilities they gained through their service to their best advantage in the classroom. The Energy and Efficiency Institute will work with Earl to arrange a presentation to students on the NEPTUNE program and other energy-related opportunities for student veterans on campus. Conduct a NEPTUNE-Sponsored Summer "Energy Bootcamp"
An Energy Bootcamp, sponsored by NEPTUNE, is scheduled for summer 2018 and will provide participants with core energy knowledge and skills as well as the networks and partnerships necessary to build a career in the energy field. Professor Kurt Kornbluth, specializes in interdisciplinary, experiential learning focusing on Zero-Net-Energy (ZNE) solutions. This project will leverage existing engagement with the UC Davis Campus as a ‘Living Lab’ to teach veterans leading-edge technical, social, and economic innovations for lowering energy use, and thereby cost. The eight session course – and follow up networking activities – will recruit current UC Davis military students along with those from the region’s community colleges and ideally military personnel from surrounding bases. It is anticipated that 10-15 students will participate in the program in the summer of 2018. In addition to providing a valuable professional development opportunity for chosen students, the program is also aimed at introducing the wider military community to programs of study at UC Davis in order to support their growth into careers in the energy sector. Our partner James Morante has been leading coordination efforts with potential partners, including military leadership, education officials, and workforce investment boards over the past several months to advance this effort. He identified the California Energy and Utility Workforce Development Consortium as the central venue for us to work with to articulate the value, expectations, and logistical requirements for such an effort to become a reality. 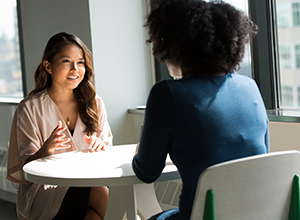 The Consortium has identified the customer service representative (CSR) position as shared need for the industry and an ideal entry-point for military Veterans. 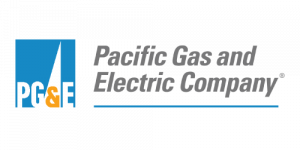 Consortium members have confirmed there will be hiring opportunities for such a universal position in 2018 and beyond, and the Skills Bridge Training program would offer a needed course, that can leverage curriculum from prior PG&E PowerPathway courses. These CSR positions are a launch point for careers, offering Veterans relatively high pay and schedule flexible employment as well as unique visibility into the broad spectrum of opportunities in the energy industry. Our team is working to finalize the curriculum, to secure significant grant funding, and to obtain Camp Pendleton base agreements. For more information, please contact Katherine Bannor.